Join us for this FREE on-leash dog event for dogs and their owners! 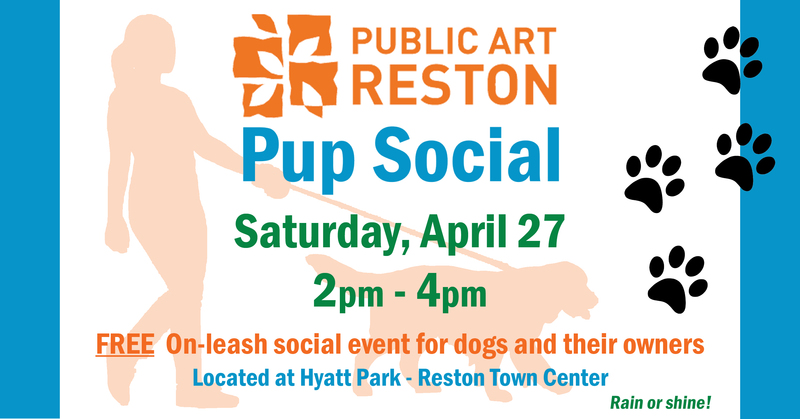 Meet your dog-friendly community and Marco Rando, Reston artist and creator of several public art sculptures! You will receive one free professional portrait of you and your dog as well as one free raffle for each dog who attends to win a $100 RTC Gift Card and Spring Painting Print!